I read the account in Scripture… Numbers 32 to be exact… of how two of the twelve tribes of Israel told Moses they would rather be given land on the side of the Jordan River they were on instead of crossing over to get part of the Promised Land. Their reasoning? The place they wanted was “suitable.” They had livestock and it looked like a place that would work well for livestock. Now, I’m all for using common sense. But they had not even been across the Jordan to see what kind of land was there. What if there was land that was better for livestock over there? Why not wait for what God promised them? 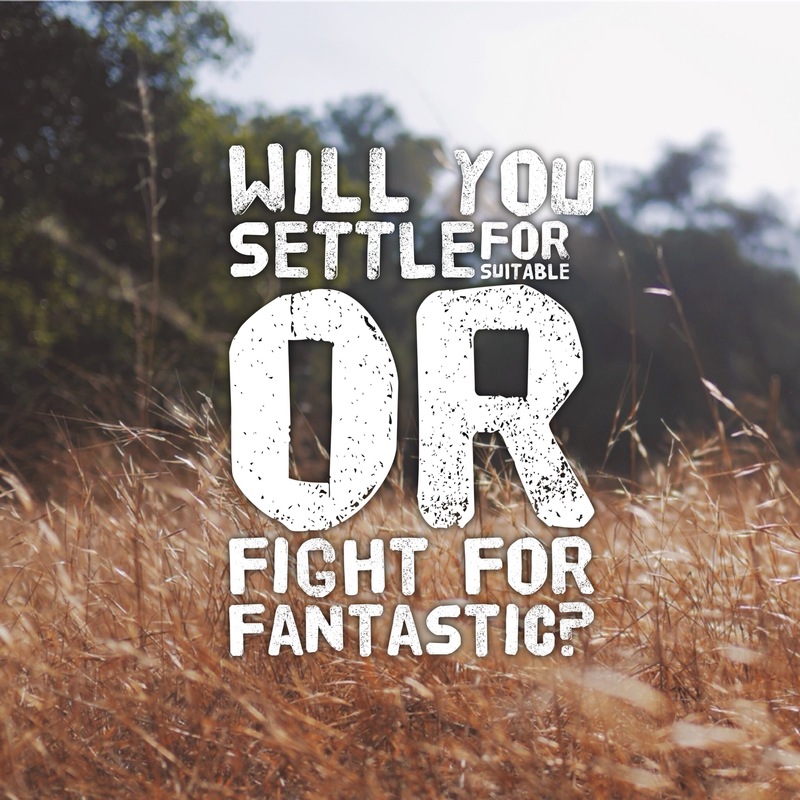 Am I willing to settle for suitable instead of fighting for fantastic? I hope not! I want all the good stuff God has in store for me. If I have to wait for it or fight for it, I want His best for me. This idea is not new or original with me, though I can’t recall who shared it because I’ve slept more than a few times since I first heard it. I just know that it is more real to me today than before. I don’t plan to settle for suitable, and I hope you won’t either! Prev Post: What Will You Find?